100% alignment to the Common Core Content Standards with Standards for Mathematical Practice development embedded throughout the program. 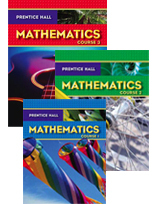 Prentice Hall Mathematics maintains the quality content for which Prentice Hall is known, with the research-based approach students need. Daily, integrated intervention and powerful test prep help all students master the standards and prepare for high-stakes assessments. 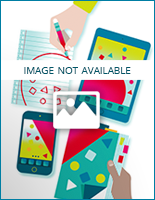 Capture your students' interest with exciting and easy-to-use technology. 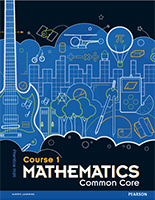 Feel confident about the program's strong authorship, proven student success, and wide range of built-in opportunities to assess your students' understanding. 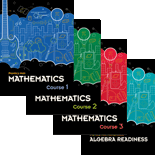 Know that you are preparing your students for algebra and beyond by developing their problem solving skills, improving their conceptual understanding, and providing them with the tools they'll need for ongoing success.